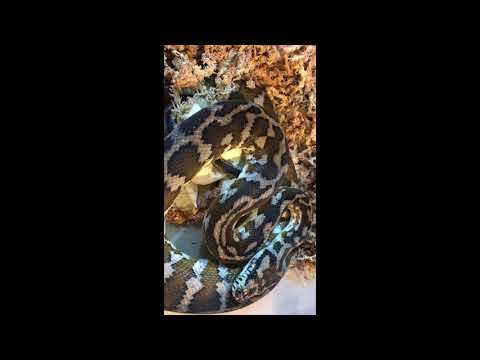 Morelia Forums - Andy Krauss shows off a few select babies from a clutch of pretty Papuan carpet pythons that he produced. Bush League Breeders Club - A carpet python keeper in Australia shows off some of the stunning snakes in their collection. Captive Bred Reptile Forums UK - Check out these great photos of three terrific looking carpet pythons that Crazy Reptiles produced. Morelia Forums - Check out the nice stripes on these jungle carpet python babies produced by Riley’s Reptiles. Morelia Forums - Head Hunter Reptiles shows off a superb pair of carpet pythons and one of their outstanding 2012 offspring.